my husband and i have decided to start out this new year with an entire month free of meat and booze. it sounded like such a good idea…lose some weight, break some bad habits, teach ourselves some discipline, yadda yadda yadda. to quote every heavy metal band from the eighties…”you don’t know what ya got until it’s gone”. i really didn’t realize how much meat we were consuming until we cut it out of our diets completely. in an effort to stop our minds from wandering to a bad place, i decided to make us a super hearty meal that wouldn’t have us focusing on what was missing, but instead on how delicious the dish was. 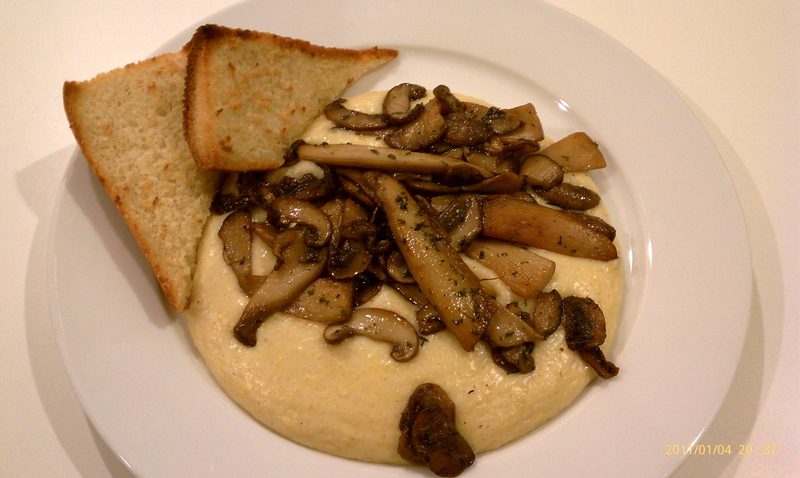 creamy polenta with sauteed wild mushrooms quieted the voices and left us satisfied and happy. 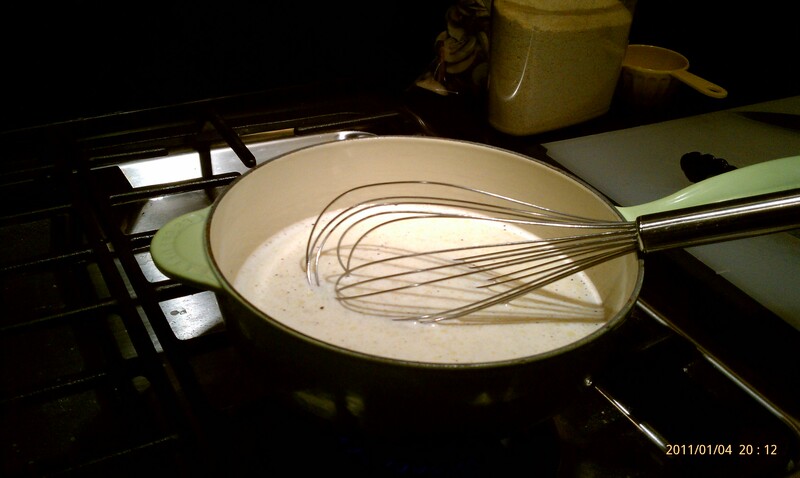 a chef i used to work with taught me not to fear making creamy polenta by teaching me a simple technique that i will now impart to you… for every cup of polenta (which feeds about 4 people) use 5 cups of liquid. easy enough right? you can cut that down or up by half, depending on the amount of people you’re serving. 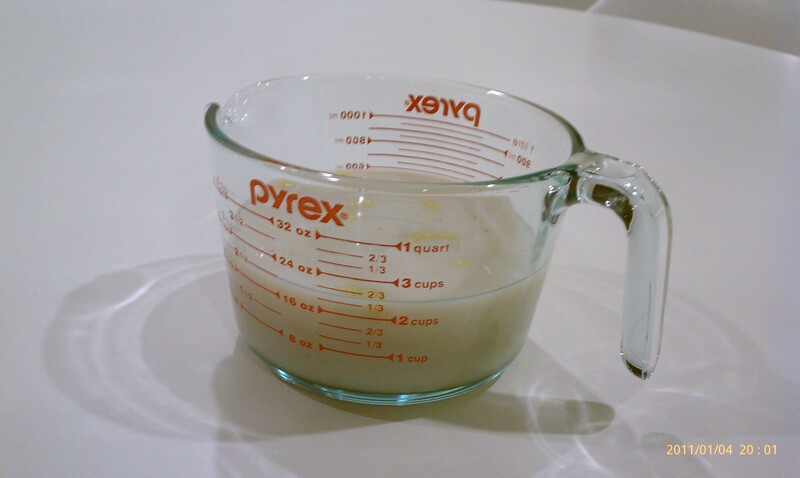 you can use all sorts of different liquids like stock, milk, water, or a combination there of. just remember the ratio and never leave your pot’s side and your polenta will be flawless every time. in a heavy bottomed saucepan, heat up the stock, milk, salt and pepper until it comes to a boil. turn down the heat to med-low and whisk in the polenta. 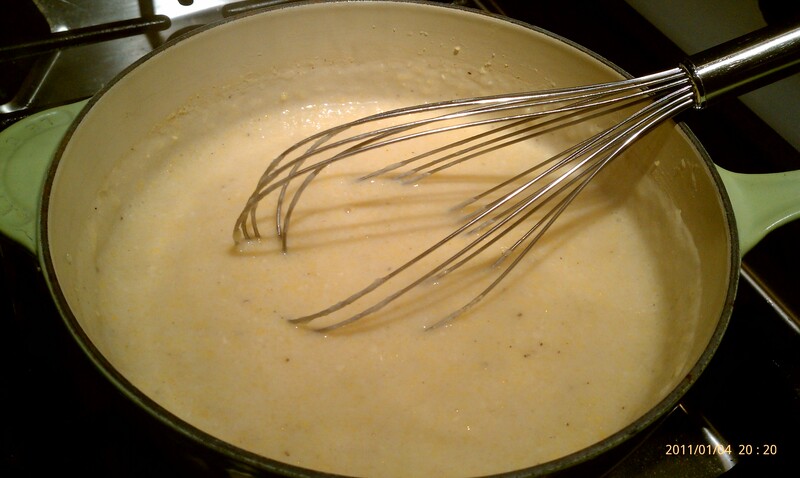 continue whisking every few minutes over low heat until the polenta has absorbed all the liquid and is smooth and creamy, around 25 minutes. off the heat, stir in the parmesan and butter with a wooden spoon. while you’re chained to the stove cooking your polenta, in a large saute pan, heat up the olive oil and butter for your mushrooms. 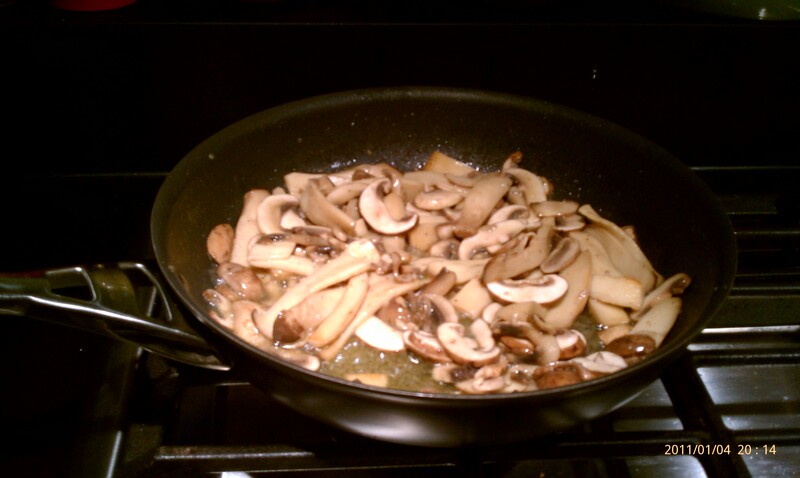 once the butter has melted into the olive oil, add your sliced mushrooms, salt and pepper and cook over medium heat until soft and nicely browned, around 10 minutes. off the heat, add the chopped thyme and parsley. 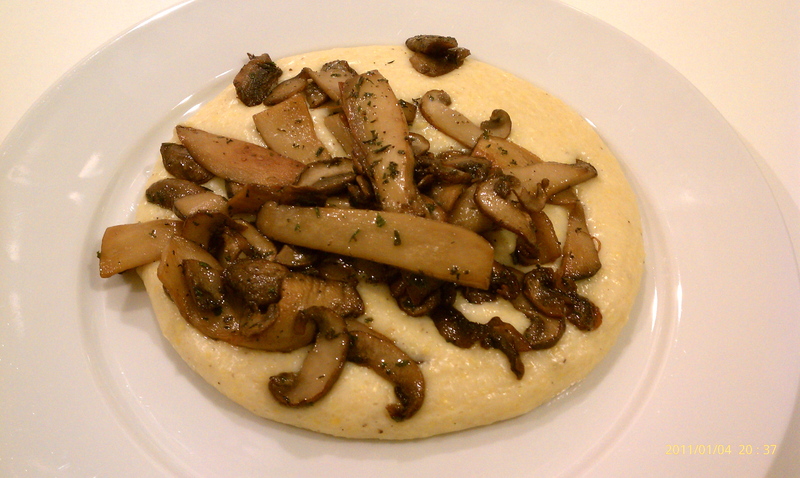 plate the polenta and spoon the sauteed mushrooms over. enjoy with some crunchy garlic bread. this was definitely a meal that had us forgetting about our sacrifices and toasting the new year. of course we were toasting with tall glasses of water but we were still toasting! boy, do i need a nice glass of pinot noir! how many days in january? 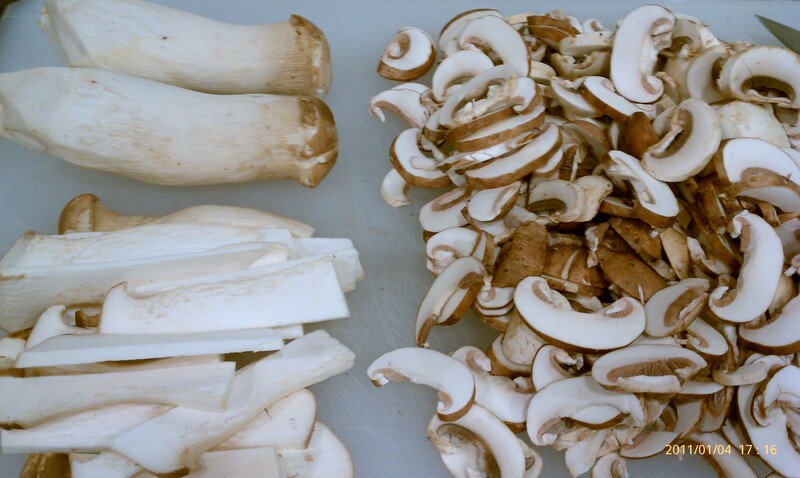 This entry was posted in cheese, Recipes, side dishes, vegetables and tagged food, mushrooms, polenta, recipe. Bookmark the permalink.